The “open courts” principle is as old as the common law. The House of Lords in 1913 said open courts “turn, not on convenience, but on necessity . . . Justice is not a cloistered virtue”. This column describes a Federal Court case decided in 2017 called A.T. v Globe 24h.com. 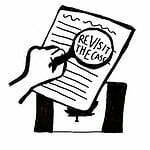 This decision dealt with several issues but we will consider only removing the applicant’s name from the case. 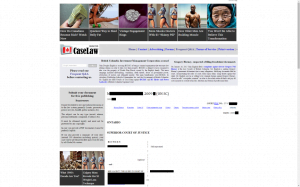 Globe24H.com was a Romanian website that downloaded about 245 Canadian judicial and administrative tribunal decisions by mechanical and manual means from the de-indexed Canadian Legal Information Institute (CanLII) database of judicial decisions in 2013. It posted these public documents online with the stated purpose to “make law accessible for free on the Internet”, essentially indexing them to appear in a general search. The site was free to use and contained non-personalized advertising. As soon as CanLII detected this re-publication, it blocked the downloading. Globe24h.com indicated that it would remove the names or the cases for free upon request within 180 days, but expedited removals incurred a fee. The processing fee of €19 per document could buy removal within a few days. The site owner said this was a mere administrative fee to verify and execute the requests. 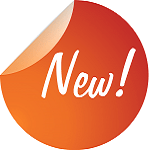 The site erratically and frequently altered its fees and removal time estimates. It went from promising free removal to denying complete removal even with fee payment. A.T. said a two-year-old Alberta Labour Relations case he brought was re-published on Globe24h.com. He told the Federal Court he believed his name on that administrative decision affected his employment prospects and “in at least one instance . . . a prospective employer chose not to make him an offer (para 20).” He also said “he and his family have received verbal threats for pursuing the complaint [against Globe24h.com] (para 25).” None of A.T.’s evidence was tested because Globe24h.com did not defend itself in the case, or file an appeal. 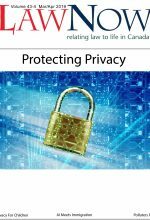 One assumes similar evidence was given unchallenged to the federal Privacy Commissioner prior to it making a recommendation that A.T.’s privacy was breached. The Federal Court issued a declaratory order of contravention against Globe24h.com, and other remedial orders as well as damages of $5000 and costs of $300. It withheld A.T.’s name in the judicial decision, ostensibly to protect him. But who does that protect? The public has an interest in knowing who is using the publicly accessible courts and administrative tribunals, how often, and the outcomes and reasons given in those cases. While A.T. said Globe24h had violated his privacy, it turns out that A.T. had himself used the legal system in Canada against others. A search of public records in September 2017 shows that, in the approximately 11 years prior, he had launched dozens of legal actions in the Provincial Court of Alberta and in the Alberta Court of Queen’s Bench, where he frequently obtained waiver of filing fees. The same hyper-litigious pattern was found in claims and appeals to quasi-judicial administrative tribunals. In 2014, A.T. was personally responsible for four of the ten claims filed that year with the Alberta Occupational Health and Safety Council. He was successful in none of them. He then applied to the Alberta Privacy Commissioner and successfully obtained an order to both replace his name with initials on these decisions and have them de-indexed so they would never be detectable by a general online search. I find that A.T. has little credibility in these human rights proceedings. A.T. has filed 5 requests for reviews with this office on dismissals by the Director in a fairly short time frame (and a 6th one where he is the representative). These complaints allege discrimination against various parties in different circumstances but yet are remarkably similar in terms of the facts and what is alleged. While A.T. has attempted to fashion the Complaint to make it look like a classic credibility contest, I find it simply unbelievable that A.T., a white individual whom many witnesses say speaks with unaccented English, would suffer such overt discrimination from so many different circumstances in such a short period of time. The information strongly supports that A.T. has a penchant for human rights litigation and is filing human rights complaints for improper purposes. Why would we want to veil these cases? A.T. has consumed many hundreds of thousands of dollars of public resources in his vexatious litigation. This does not count the private pecuniary and emotional costs, and loss of time and respect for the administration of justice. His loss of privacy by being identified with the cases he voluntarily chooses to bring is over-ridden by the need to detect such abuse of legal process. Personal identification is the only instrument of accountability and offers a disincentive to this abuse of process.